Unprecedented: The 2000 Presidential Election is the riveting story about the battle for the presidency in Florida and the undermining of democracy in America. Filmmakers Richard Ray Pérez and Joan Sekler examine modern America's most controversial political contest: the election of George W. Bush. What emerges is a disturbing picture of an election marred by suspicious irregularities, electoral injustices, and sinister voter purges in a state governed by the winning candidate's brother. George W. Bush stole the Presidency of the United States ... and got away with it. After so many years during which right-wing blowhards like Rush Limbaugh and Bill O’Reilly dominated the media, 2004 may go down as the year in which the liberals struck back. 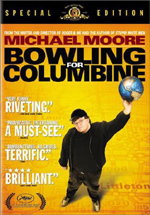 Within days of its release, Michael Moore’s Fahrenheit 9/11 became the most successful non-IMAX documentary ever, and other left-wing efforts like The Hunting of the President appeared. Much of the reason for this resurgence stemmed from the lingering discontent related to the 2000 Presidential Election, one that the Democrats legitimately could claim they won. Repackaged here as a “Campaign Edition”, 2002’s Unprecedented takes a look at all the issues that came to the forefront during that election. An introduction from Danny Glover recaps the events in question before we then launch into the program proper. Narrated by Peter Coyote, Unprecedented mixes news footage with interviews. We get remarks from Cathy Dubin of the Democratic Party’s Palm Beach County branch, NAACP voting rights attorney Thomasina Williams, WJGR radio host Andy Johnson, poll volunteer Yvonne Montalvo, Hillsborough County supervisor of elections Pam Iorio, journalist John Lantigua, Sharon Lettman-Pacheco of the People for the American Way Foundation, former Florida state representative Anthony Hill, Florida A&M student Andrew Gillum, author Greg Palast, author John Nichols, Reverend Willie Whiting, US Congresswoman Corrine Brown, Leon County Supervisor of Elections Ion Sancho, Florida Division of Elections director Clayton Roberts, Reverend Thomas Johnson, ACLU’s Howard Simon, author Jake Tapper, author Chris Sautter, author Timothy Downs, Miami Herald news editor Mark Seibel, Florida Democratic Party attorney Charles Lichtman, Florida Democratic Party attorney Mark Herron, Washington Post database editor Dan Keating, Orlando Sentinel projects editor Sean Holton, author Vincent Bugliosi, American University law professor Jamin Rankin, University of Pennsylvania law professor Ed Baker, author Alan Dershowitz, author Frances Fox Piven, Democracy Summer coordinator Amy Quinn, Kim Alexander of the California Voter Rights Foundation, Stanford University professor Dr. David Dill, author Bev Harris, Avi Rubin of the Johns Hopkins University Information Security Institute, publisher David Allen, US Congressman Rush Holt, and various average folks. 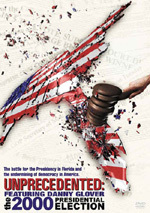 Unprecedented follows a series of threads essentially designed to point out the errors and deceit the filmmakers saw in the election, especially as it occurred during the swing state of Florida. It starts with an emphasis on that state’s governor, Jeb Bush, who just happens to be the brother of George W. We learn about the governor’s unpopularity with blacks in Florida and the actions that negatively affected them. The film also goes into voters improperly removed from the rolls, with a particular emphasis on the Felon Purge List. From there we get into the recounting of votes with all sorts of connected issues. Much of the program follows this process and the mix of problems that popped up along the way. It ends with a look at reforms and concerns for the future, with an emphasis on controversies connected to touchscreen voting. On the positive side, Unprecedented moves nicely and presents a good pace. It goes through all of the appropriate topics briskly but not too quickly, as it sticks with them long enough to give us the necessary information. The film aptly conveys the myriad of controversies that surrounded the 2000 election in Florida and hits upon all the ways that things went wrong. What Unprecedented lacks is any form of objectivity. 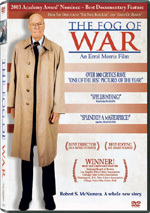 The film clearly pursues the topic from a liberal point of view and we find little to balance out that side of things. Even when someone from the Republican standpoint appears - such as an important election official - he gets portrayed negatively. In that case, we only see the very end of an interview, one that the official concludes brusquely. The footage implies that the official acted this way consistently, but we don’t see any prior material to observe if the interviewer did anything to elicit that attitude. Text during Unprecedented claims that the filmmakers attempted to interview Republicans but they declined. This may be true, but I get the feeling that even if Jeb Bush or Katherine Harris appeared for the record, they would have received similar treatment. Unprecedented comes with a particular worldview that won’t change no matter who shows up for the opposition. It also seems to occasionally meld the information for its own purposes and tosses out some iffy data. When we look at the lists of purged voters, the numbers change from speaker to speaker and we get an inconsistent view of the actual totals involved. Also, when the film looks at the problems that affected black voters, it implies racism but fails to document if any similar issues cropped up for folks of other races. If the flick wanted to make the case that blacks were excluded solely because of race - according to the documentary, African-Americans in Florida tend to overwhelmingly vote for Democrats - it needed to show that these flaws didn’t occur across the board. Add to that a tone that often feels preachy and Unprecedented presents an erratic documentary. At its best, the program spotlights the scads of problems and controversies that marred the 2000 election, and it raises many important issues. Unfortunately, it does so with such a partisan viewpoint that it becomes tough to accept the information without suspicion. Unprecedented: The 2000 Presidential Election appears in an aspect ratio of 1.33:1 on this single-sided, single-layered DVD; due to those dimensions, the image has not been enhanced for 16X9 televisions. A hodgepodge of recent interviews and archival footage, Unprecedented presented the material about as well as one could expect. In general, the show looked somewhat soft much of the time. Sharpness generally was acceptable, but it tended toward the fuzzy side of the street and rarely developed a very crisp and detailed impression. Some jagged edges and moiré effects occurred, and I also detected a few examples of edge enhancement. The image yielded some video artifacts as well; these occasionally gave the program a moderately grainy appearance. Colors looked acceptably accurate and realistic, but they suffered from the vaguely drab tone of the program. The hues came across as somewhat flat and lackluster, though they didn’t seem runny and significantly problematic; they just lacked much vibrancy. Black levels appeared similarly bland, and low-light sequences seemed a bit muddy and murky. Overall, Unprecedented remained consistently watchable, and a lot of my concerns related to the source material, so the image deserved a “C” despite its flaws. It should come as no surprise that the Dolby Surround 2.0 soundtrack of Unprecedented presented a pretty subdued affair. Very little material popped up distinctively from the side speakers. The vast majority of the soundfield stayed essentially monaural, as only some light environmental information came from the anywhere other than the center. A smidgen of ambience also cropped up in the surrounds, but it remained modest. This wasn’t a problem, though, since a program like this doesn’t require anything more. Audio quality appeared perfectly acceptable most of the time. Speech varied somewhat due to source issues, but most of the material came across as reasonably natural and distinctive. The music seemed clear and well reproduced, though it stayed firmly in the background. The effects were a small part of the mix. Still, they came across as clean and fairly accurate. Nothing special occurred here, but the audio of Unprecedented was passable for this sort of program. The DVD continues with a few supplements, all in the form of featurettes that expand on material found in the full documentary and try to preach the liberal cause. The Voter Purge runs 15 minutes, 33 seconds as it looks at issues connected to citizens apparently improperly denied the right to vote. We hear from authors John Nichols and Greg Palast plus journalist John Lantigua, voting rights attorney Thomasina Williams, and ex-offender Brian Dennis as they chat about irregularities, especially as related to rights denied to former criminals. We hear enough of this material in the main program, so “Purge” comes across as redundant and dull. Media Malfeasance fills 12 minutes, six seconds and examines. We hear from Nichols, Palast, author Douglas Kellner, US Congressman Henry A. Waxman, New York University Professor Mark Crispin Miller, and Fairness and Accuracy in Reporting program director Janine Jackson. They look at the coverage of the election from the major news outlets and imply conspiracy to undermine the Gore campaign. This show enters into Oliver Stone territory to some degree, as it feels like it stretches to make points. Anything that accuses the generally liberal Washington Post of whitewashing matters can’t be taken too seriously. In the four-minute and 40-second Response to a Stolen Election, we get notes from People for the American Way president Ralph G. Neas and Advancement Project co-director Penda Hair as they discuss actions to prevent future voting problems. 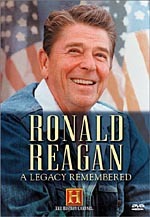 The show also highlighted the role Unprecedented played in motivating voters. It feels self-congratulatory. Critical Perspectives goes for four minutes, 27 seconds as it looks at more reactions to the election. We hear from authors Frances Fox Piven, Gore Vidal, Noam Chomsky and Michael Parenti, Global Exchange founding director Medea Benjamin, Wellington resident Gwendolyn Johnson, Center for Voting and Democracy senior analyst Steven Hill, and UNC Professor Gerald C. Horne. Mostly they complain that the system doesn’t work very well. It’s another shrill and not very useful piece. Finally, Rise of Corporate Dominance takes three minutes, 34 seconds to look at the political power of big businesses and related issues. We find notes from author Thom Hartman as he relates concerns about the erosion of democracy. As with the others, this is preachy partisan material. That attitude mars Unprecedented. While the program manages to present a fairly tight “greatest hits” reel of the problems connected to the 2000 presidential election in Florida, it comes with too heavily liberal a viewpoint, and that means it rarely feels objective. The DVD presents flawed but acceptable picture and sound plus a mix of not very useful featurettes as extras. Unprecedented stirs up enough intrigue to merit a look, but the program remains a disappointment overall.